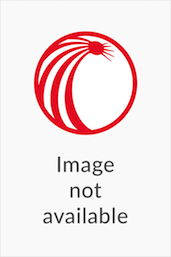 This authoritative treatise on appellate practice has been in print since 1993, and is a reference source frequently used by civil litigation lawyers and cited by appellate judges across Canada. First authored by former Supreme Court of Canada Justice John Sopinka and veteran litigator Mark Gelowitz; this edition adds co-author W. David Rankin. This authoritative treatise on appellate practice has been in print since 1993 and is a reference source frequently used by civil litigation lawyers across Canada. 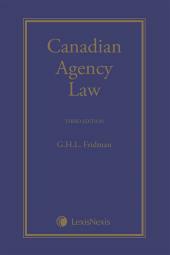 The book has been cited with approval by judges in almost all of Canada's appellate courts, including the Supreme Court of Canada. First authored by former Supreme Court of Canada Justice John Sopinka and veteran litigator Mark Gelowitz, this Fourth Edition adds co-author W. David Rankin. Ideal for both novice and seasoned litigators, this book helps practitioners avoid costly procedural errors when launching an appeal, and gives them valuable guidance on the procedural and jurisdictional aspects of preparing and presenting appeals. In addition to providing practical guidance, the authors comment on the evolving landscape of appellate powers and jurisdiction. Visit the author's blog at conductofanappeal.com for recent developments in Canadian appellate law and practice. The Late Honourable John Sopinka, was Canada's most prominent and skilled litigator when he was appointed directly from the bar to the Supreme Court of Canada in 1988. In a distinguished and high-profile career as a litigator, his most notable briefs included his role as counsel to the Estey Commission on the failure of the Canadian Commercial and Northland banks; his representation of nurse Susan Nelles when she sued the government of Ontario and the Toronto police for malicious prosecution; and his work as counsel for former federal cabinet minister Sinclair Stevens at the William Parker Inquiry into conflict of interest allegations. Justice Sopinka served with great distinction on the Supreme Court for nine years, until his untimely passing in 1997. 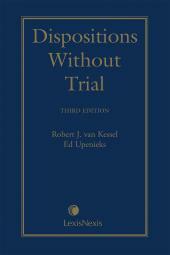 Justice Sopinka left an important legal legacy in his judgments on the court, and his books The Trial of an Action, 3rd Edition (J. Kenneth McEwan, LexisNexis 2016); Sopinka, Lederman & Bryant - The Law of Evidence in Canada, 5th Edition (Hon. Sidney N. Lederman, Hon. Alan W. Bryant & Hon. Justice Michelle Fuerst, LexisNexis 2018); and Sopinka and Gelowitz on the Conduct of an Appeal, Fourth Edition (Sopinka, Gelowitz & Rankin, LexisNexis 2018). Mark Gelowitz, B.A., LL.B., B.C.L., is a senior partner at Osler, Hoskin & Harcourt LLP. Mark has a business-focused civil and securities litigation, appellate and international commercial arbitration practice. He has regularly appeared before the Supreme Court of Canada and the Courts of Appeal across the country. Mark's international arbitration practice includes major arbitrations conducted in London, Rome, Geneva, Tokyo and Warsaw. Mark completed two appellate judicial clerkships, the first with the late Chief Justice E.D. Bayda of the Saskatchewan Court of Appeal in 1986 and the second with the late Justice John Sopinka of the Supreme Court of Canada in 1989-90. He completed the B.C.L. degree at Oxford University in 1989, between his clerking experiences. Mark has had a number of legal publications including a book co-authored with the late Justice Sopinka, and W. David Rankin entitled Sopinka and Gelowitz on the Conduct of an Appeal, Fourth Edition (LexisNexis 2018). W. David Rankin, B.B.A.H., J.D. (Hons. ), carries on a general commercial litigation practice at Osler, Hoskin & Harcourt LLP, which includes appellate litigation, administrative and constitutional litigation, class actions, and other general civil litigation. David has appeared as counsel before the Supreme Court of Canada and a number of provincial appellate courts. David served as a law clerk to The Honourable Mr. Justice Morris J. Fish of the Supreme Court of Canada. He received his Juris Doctor from the University of Toronto, where he graduated with the W.P.M. Kennedy Silver Medal. David is a new co-author with the late Justice Sopinka and Mark Gelowitz of Sopinka and Gelowitz on the Conduct of an Appeal, Fourth Edition (LexisNexis 2018). Chapter 9: Preparing for and Presenting the Argument.